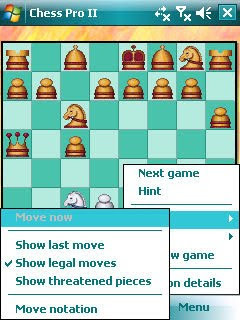 Regardless of your playing level, ZingMagic's multi award winning Chess is a stimulating and challenging game for all. Multiple levels of computer play, ranging from beginner to expert. Award winning artificial intelligence engine which is particularly strong at expert level. Understands all Chess rules such as en passant captures, castling, under promotion, draw by repetition, perpetual check and 50 move rule etc. Multiple player and multiple game support. Full undo and redo of moves. Support for alternate boards and pieces. Chess is just one of our large collection of best of breed classic board, card and puzzle games available for a wide range of platforms.